XTEK Limited (XTEK), listed on the Australian Securities Exchange (ASX:XTE), is Australia's homeland security specialist, providing high-quality products and solutions to the government, law enforcement, military and commercial sectors, to protect and sustain our way of life. The company is proud to provide a wide range of specialised products and solutions in the areas of tactical and protective security, unmanned aerial systems (UAS), forensics, explosive ordnance disposal (EOD), composite consolidation and geospatial visualisation solutions. XTEK is an Australian Defence Force recognised supplier, is listed on the Australian Defence Force Register as an approved maintenance facility, and is a member of the Defence Industry Security Panel. Our key management and staff have distinguished military and police backgrounds, and extensive experience in the homeland security market; thus ensuring expert after sales service, Engineering and R&D Services, training (RTO), support and consultancy for our clients. XTEK is also an Associate Member of RPDE. EOD, Counter IED and CBRNE specialist supplying technology solutions and services to the ADF and other customers since 1978. Innovative technology developer with extensive R&D and Engineering capability and experience. XTEK developed the Blaser Tac2 338 Sniper Rifle here in Australia and is in service with the Australian Army. 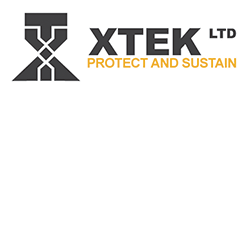 XTEK invented XTclave a novel composite consolidation technology able to produce lightweight, strong and complex geometric shaped composite articles for the Body Armour, Aviation and Armoured Vehicle market segments. The technology is in the final stages of evaluation by the US Army for suitability in the body armour market manufacturing segment. XTEK developed the XTatlas real time geospatial ISR video technology which can generate near real time GEOTIFF georeferenced Maps and 3D models from a real time ISR video source used in UAVs and Manned Aircraft. A niche capability for First Responders and the Military for real time mapping applications with current UAV and Manned Aircraft EO/ payload technology, this innovation is a keenly sought by the international first responder community and has significant export potential. Groundbreaking technology - Australian made, potential worldwide Focused on the innovation of new or improved solutions: XTclave™ composite consolidation technology production plant. XTclave makes it possible to manufacture lighter, stronger and stiffer composite articles more efficiently. XTatlas™ geospatial video overlays and mosaic mapping from video. This ground-breaking technology is now being commercialised and further development is in progress to integrate other sensor layers and generate 3D terrain and models on video. XTEK Tac 2 Sniper System - the worlds most advanced, modern sniper rifle system. A highly advanced, modern sniper rifle system with a straight pull bolt and design features that no other rifle can compete against. XTviz™ visual impact analysis of geospatially accurate 3D environments. XTviz, produced by Simmersion Holdings PTY LTD, provides high fidelity real-time simulation of the built environment for environmental and urban planning impact analysis.